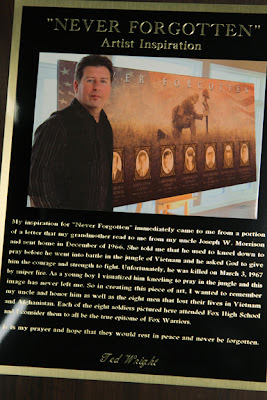 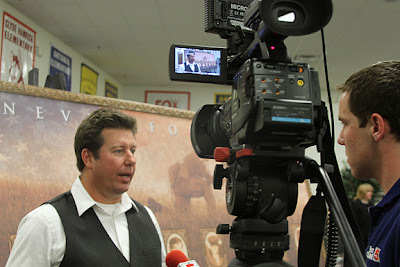 In a previous blog, we wrote about Ted Wright's artwork used in a Vietnam Memorial at his old high school in Missouri. You can read more about that in a post here. 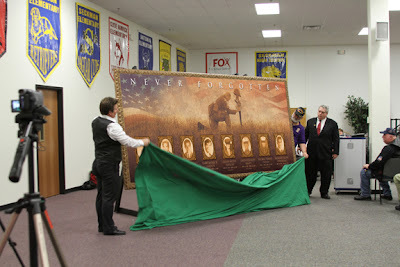 Yesterday was the unveiling of the artwork to a crowd of over 1,000 people who came to show their respect to the 8 men who lost their lives in Vietnam and Iraq, 2 of whom went to high school with Ted.